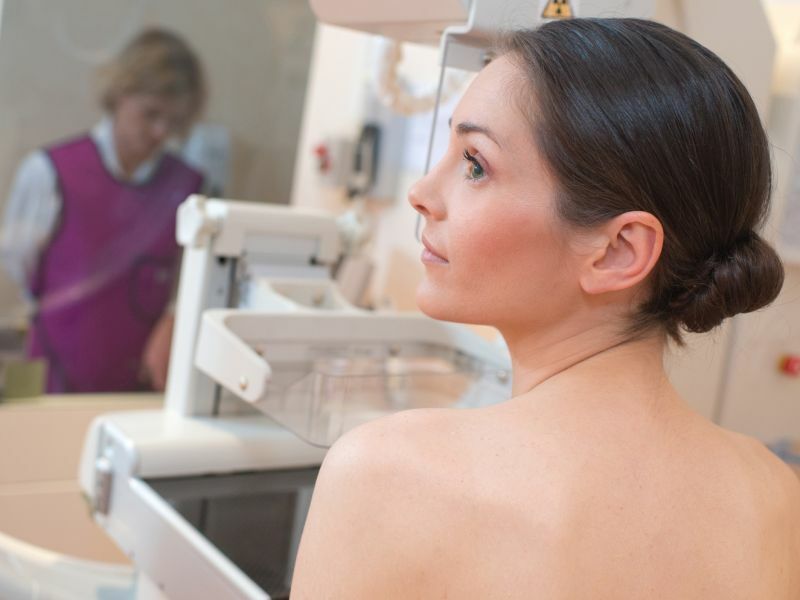 MONDAY, April 8, 2019 (HealthDay News) -- Four evidence-based guidance statements on breast cancer screening have been developed by the American College of Physicians and published online April 9 in the Annals of Internal Medicine. The authors provide four guidance statements that offer advice to clinicians on screening in average-risk asymptomatic women. Clinicians should discuss whether to screen for breast cancer with mammography before age 50 years for average-risk women aged 40 to 49 years; the discussions should include potential harms and benefits as well as women's preferences. Clinicians should offer breast cancer screening with biennial mammography for average-risk women aged 50 to 74 years. Breast cancer screening should be discontinued in average-risk women aged 75 years or older or in women with a life expectancy of 10 years or less. Clinicians should not use clinical breast examination to screen for breast cancer in average-risk women of all ages. "It is our hope that future guidance statements will move beyond emphasizing variation across guidelines and instead provide more advice on how to implement high-value screening and deimplement low-value screening," write the authors of an accompanying editorial. "The American College of Physicians guidance statements shed light on these points but do not clearly illuminate the full path ahead for every woman."